The Jewish Federation of Greater Washington highlighted Max's attendance at the Bender JCC Preschool via BEAM telepresence robot as a wonderful example of the JCC's commitment to inclusion. This video they commissioned looks inside the classroom that Max attends, beautifully capturing the relationships between Max, his friends, his teachers, and the entire preschool community. For Max's 4th birthday, let's get closer to a cure! August is Max's birthday month. It's also SMA Awareness Month. For Max's fourth birthday, we're trying to raise $4,444 for Cure SMA (to fund more groundbreaking research and continue providing vital support to families). and others like him grow up healthy and strong? This year Max began receiving Spinraza, the first approved treatment for SMA. The drug is a huge milestone for the SMA community, but it's also the beginning of a new leg in the race for more effective treatments and ultimately a cure. 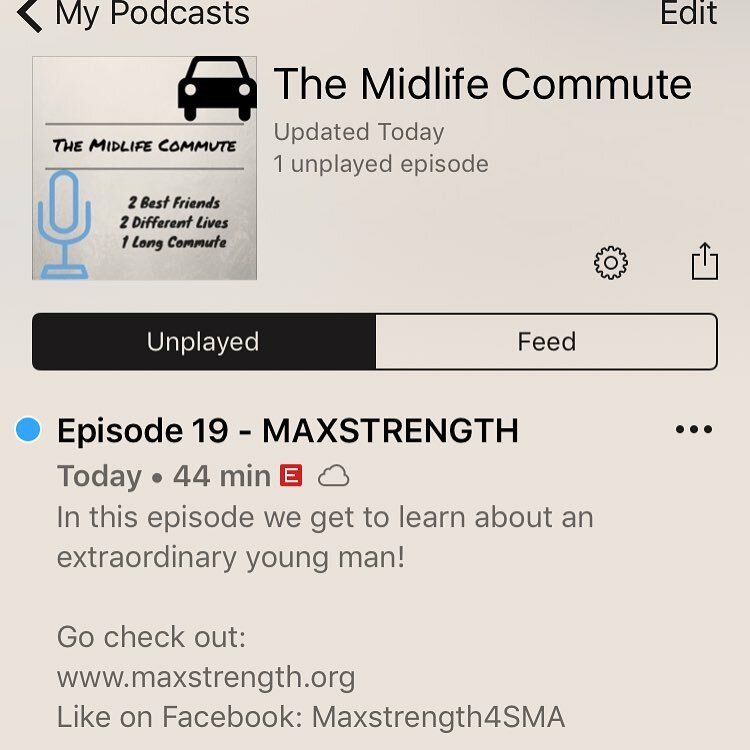 Max needs your support to get there. Then please share this with anyone you know who might want to help us reach our goal! Kristen was one of a handful of SMA community representatives invited to testify about the burdens of life with SMA before FDA representatives at this week's SMA Patient-Focused Drug Development Meeting. Meetings like this help show how FDA decision-makers are actively listening to the patient populations affected by their decisions. Watch her brief testimony by clicking on the video below...or read her testimony in full on the Cure SMA website. NBC4 Washington reporter Chris Gordon (and videographer Lance Ing) helped us share our experience having Max attend the Bender JCC preschool via telepresence robot. Asked what he wants to be when he grows up, Max surprised his mother when he replied he wants to be a teacher like she is. “A teacher?” his mother reacted. “You want to be a teacher? I didn’t know that. Wow." You can read the full story at NBC's website: Robot Allows Maryland Boy With Degenerative Disease to Attend School, Connect With Classmates. Check it out! Max and a friend are on the cover of the March 2017 edition of Center Scene (the magazine of the Bender JCC of Greater Washington). The cover story describes how Max is attending the Bender JCC preschool via Beam telepresence robot. ​Our gratitude to the JCC and everyone involved for helping us share this cool story more widely with the people in our neighborhood. Meet Max, a 3-year-old student at the Bender Early Childhood Center. Max has spinal muscular atrophy (SMA), a motor neuron disease which leads to degeneration of the muscles that help the body to move. Because Max’s mind and sensory nervous system are unaffected, he thinks like a typical child his age. Kristen and Yahnatan Lasko, Max’s parents, knew that in order to help their bright, differently-abled little boy reach his full potential, they needed to find a welcoming preschool community with teachers and staff who were willing to step into unfamiliar territory. They approached the Bender JCC preschool to discuss enrolling Max. “The administration was willing to join us on the journey and quickly set about making this a reality,” says Yahnatan. 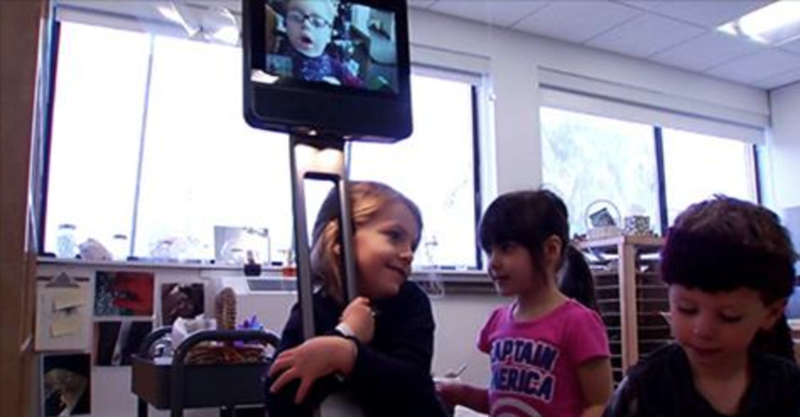 Because respiratory infections pose a significant risk to children with neuromuscular weakness, Kristen and Yahnatan proposed a telepresence robot as the best idea for how to get Max safely into the classroom. Thanks to cutting-edge technology, Max now attends preschool at the Bender JCC via BEAM, a telepresence robot. Max’s BEAM is his daily “avatar” in the classroom; through it, he learns and interacts with the class. Every day for up to two hours, Max “BEAMs” into class. He loves art, music, chasing friends (and being chased), and talking with his friends. “We talk with Max about what he is learning in school and marvel at how the interests of the class influence what he chooses to explore at home,” Kristen remarks. By the same token, the Bender JCC is grateful to the Lasko family for choosing our preschool and meaningfully enriching the lives of our students, teachers and all who come in contact with Max. [SMA] attacks motor neurons, so things like coughing and holding your head up, Max Lasko can't do. ... But, the Laskos like to focus on what Max can do, like play music, communicate through an emphasis on syllables or movement of the eyes, and bring joy to people. 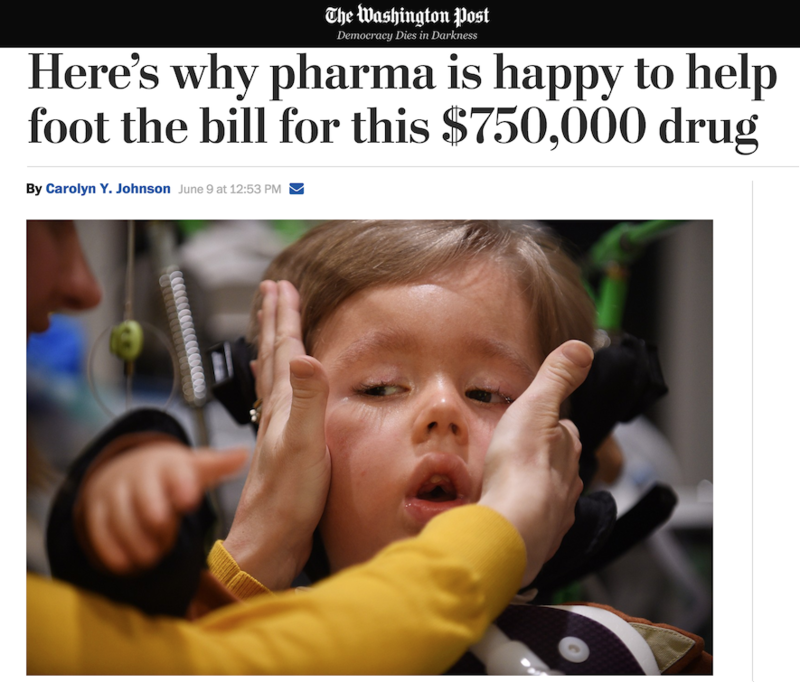 The FDA approved Spinraza months before the go-ahead was expected, but for the Laskos, who provide Max with round-the-clock care, this is a long-awaited moment. "When we got the news, I looked at my wife and saw tears rolling down her cheeks,” said Jonathan Lasko, Montgomery County resident. “...it will take time to see how it helps and to what degree it helps him and many others, but we're hopeful, we're very hopeful."